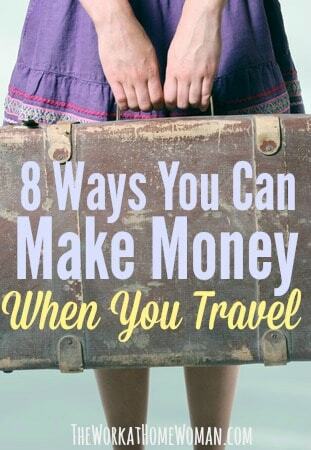 No matter how frugal you are while traveling, money also seems to go quicker than you thought it would. If there were a downside to traveling, it’d be the cost of going for as long as you want. That’s why doing some work on your travels can extend your trip for quite a while. You won’t become rich by doing any of these jobs, but you will make enough to get by if you’re dedicated. Best of all, most of these following jobs aren’t particularly time intensive. For the most part, you can work put in a couple of hours when you have some downtime and enjoy your time on the road. Transcribing audio won’t exactly get the adrenaline pumping, but it’s one of the perfect gigs to do while traveling. There aren’t specific skills that are required, you can work on your own time, and the work can be steady. There’s a bit of a learning curve, but once you get good at it, then it becomes easier to earn money. There are some online companies offering up projects. Some of the better-regarded companies include Rev and Scribie. To find out more about this career, check out this interview with experienced transcriber, Janet Shaughnessy. If you know a thing or two about writing or design, check online for small projects that can earn you a little money. Sites like Upwork and Fiverr offer opportunities for people with a variety of skills and specialties. If you have the skills for it, online freelancing can be one of the most reliable forms of earning money while traveling. Plus, you get the added benefit of sharpening your skills. Looking for more paid writing gigs? Check out this HUGE list of legitimate sites that pay you to work from home as a writer. There are gigs for writing blog posts, recipes, short stories, greeting cards, and much more! Some teaching locations are much better than others (less crowded classrooms, more dedicated co-workers, etc.) so look into each school and see if you can find anyone who worked there previously to talk to. You can also teach ESL classes online with companies like Gogokid and Cambly. If you have a specific skill from back home, whether it’s counseling, consulting or teaching, then why offer your skills online through Skype? Online learning is becoming increasingly popular, as clients enjoy the flexibility and reduced cost of learning from Skype, Facetime, etc. For you, that means a good chance to put your professional skills to use. The downside is that if you’re in a far-away time zone and your clients are back home, it might mean some strange work hours. Looking for other platforms to share your expertise? Here are 11 platforms where you can set up shop! There’s a good chance you’ll be staying at lots of hostels while traveling. What you may not know is just how it is for a friendly person to land a short-time job working at a hostel. The hours needed to be worked are usually modest, but instead of money, you may find yourself with free room and board. However, earning actual money on top of a comforting place to sleep is possible. Check out websites like Hostel Jobs and Hostel Travel Jobs to find the best availabilities. If you're a blogger, you may be able to write hotel reviews and get your room for free, see this post for more information about travel blogging. Filling out surveys, reviewing websites and other “work from home” tasks are a grind, although it can work out in your favor. Websites like Amazon Mechanical Turk and Swagbucks pay you to complete a variety of mini tasks. The pay is low, but what makes up for it is its flexibility. You can do as many or as few as you’d like. This is one of the trickier ones, as passive income is something you need to have set up before you left on your travels. Passive income can come from a variety of sources, but one of the most popular is through renting properties you own. If you have a trustworthy person to handle your rented property, you can collect that money each month to extend your travels. Alternatively, you can earn money from stocks and other investments. As the old adage goes, it takes money to make money, so earning anything substantial through dividends and interest is difficult for an average person. Still, it’s something to keep in mind. If you’re outgoing and personable, becoming a tour guide might be for you. It requires practice, research, and some good connections, but it’s one of those classic “work while traveling” jobs. If you become good enough, it’s also a transferable skill as long as you learn all you can about whatever place you’re going to. You can even use a platform like Vayable or Trekk Soft to get started. Countries have different legal requirements for working, so look into what’s possible on your visa. Finding work that’s meaningful, well-paying, or both isn’t easy when you’re in a different country and your time is limited. However, it is possible to earn some money that will aid you greatly in your travels. Figure out how much time you can commit to work and then focus on the tasks at hand. Some jobs might start off way too time intensive, but will get much better over time. 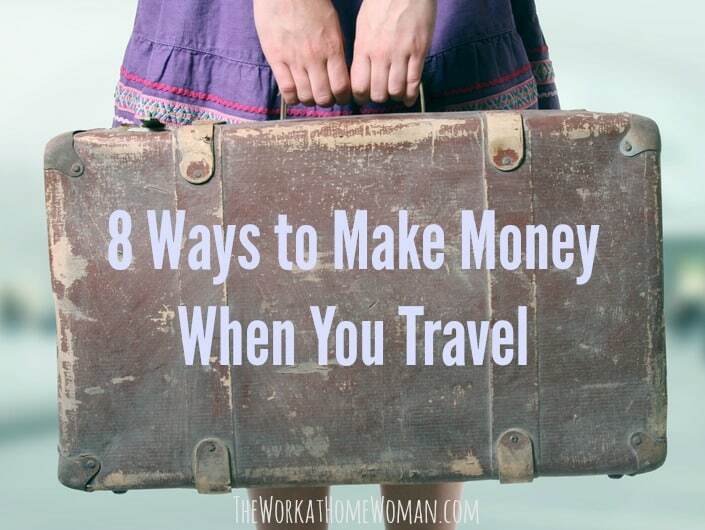 How are you making money while traveling? We would love to hear from you — drop us a comment below. Anum Yoon is a personal finance blogger and writer who loves sharing her hard-earned insights about money management. She leads a green and eco-friendly lifestyle in an effort to do her part in the sustainability movement, as well as to reduce her budget. When she’s not typing away on her keyboard, you can find her at the gym or pouring over a new Pinterest recipe. Check out what she’s sharing on Twitter or read her updates on her money blog, Current On Currency.